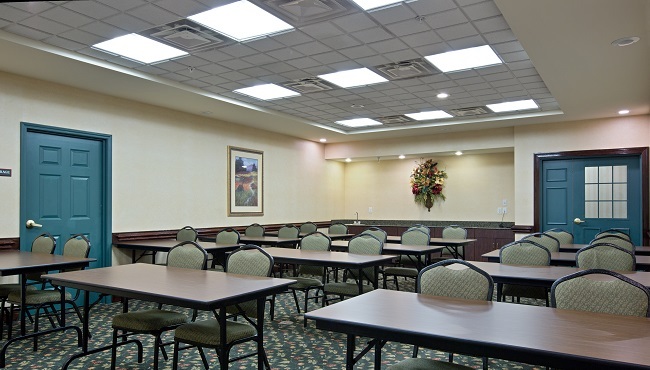 Make your business meeting, birthday party, wedding shower or sports team get-together shine when you book the meeting room at the Country Inn & Suites. With room for up to 50 guests, the 600-square-foot space offers flexible seating setups and amenities like free Internet and audiovisual equipment. Let our friendly staff help you work out the details so you can concentrate on your guest list.